For more than half a century, Carrillo have been making ultimate quality engine components that have powered some of the most successful teams in motorsports. Carrillo forged connecting rods have been designed and manufactured without compromise to be the best connecting rod in the world. 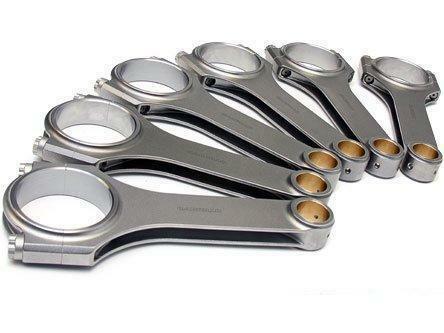 We believe that this is the highest quality connecting rod available for your Jaguar engine - period. A set of Carrillo rods represents a weight saving of 840g over a set of OEM Jaguar rods. Classic Jaguar is proud to have been appointed an authorized CP-Carrillo dealer.